Botox injections or Botox, for short, is the best known among a group of drugs using various forms of botulinum toxin, a toxin that’s produced by the same microbe that causes botulism, a type of food poisoning. 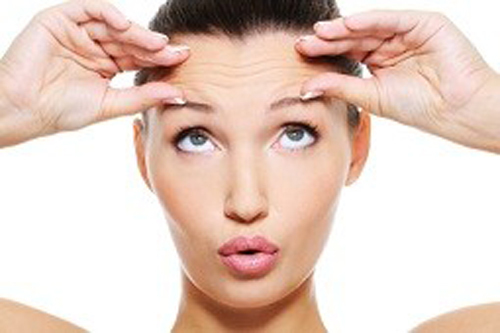 Botox is used in treating all sorts of condition in the medical field, mainly because of how it can cause the temporary paralysis of muscle activity. This makes it very useful for cases such as cervical dystonia or repetitive neck spasms, excessive sweating and overactive bladder. Though, there are also cases where Botox was used in treating crossed eyes, as well as chronic migraines. Most prominently, however, Botox is to help make people look younger by reducing the appearance of certain facial wrinkles. Dial back to a decade or two ago, it was hard to convince dentists that tooth whitening and orthodontic procedures were necessary for cosmetic reasons alone. The main focus of dentists back then was simply to make sure that their patient’s teeth were healthy and that nothing was wrong with them. Other concerns, such as how teeth looked were often overlooked or dismissed as long as the teeth were “healthy”. These days, however, more and more dental professionals have realized that function and esthetic go hand-in-hand in achieving optimal health. Still, you’ll wonder, what does that have to do with Botox earning a place in dentistry? It’s not like teeth have wrinkles, right? Well, not exactly, but our faces and mainly, our jaws do have muscles and they’re prone to suffering from constant muscle spasms. Conditions such as bruxism, TMJ and others involving facial pain have been proven to benefit from Botox injections, though not all dentists are aware of this. Botox, along with dermal fillers, are used and have been effective to some extent in treating high line cases without having to resort to far more invasive and aggressive forms of treatment. In orthodontics, the teeth of patients with strong mentalis muscles are prone reverting back to pre-therapy positions. Botox can help with this by making the muscles weaker to allow more normal movement and prevent the undoing of the effects of the current treatment. While there are certainly concerns about how Botox should only be administered by doctors, it’s worth noting that most states in the United States allow dentists to use Botox for both therapeutic and cosmetic purposes. Not only that, but local anesthesia, which is far more frequently used by dentists, is also a lot more dangerous and have greater potential for complications, as well as negative reactions compared to Botox or dermal fillers. If the dentist has had necessary training, injecting Botox will be as easy as injecting a local anesthetic, albeit with far fewer possible complications. Minimally invasive and very easy to administer, the use of Botox injections can present a lot of benefits for both patients and dentists alike. For more information regarding Botox contact the office of Larry Lieberman DDS at 727-785-8017 or visit www.dentist-lieberman.com to learn more. This entry was posted in Botox and Facial Fillers and tagged Botox, Dr. Larry Lieberman DDS, Facial Rejuvenation- Botox & Facial Fillers on February 21, 2016 by admin.